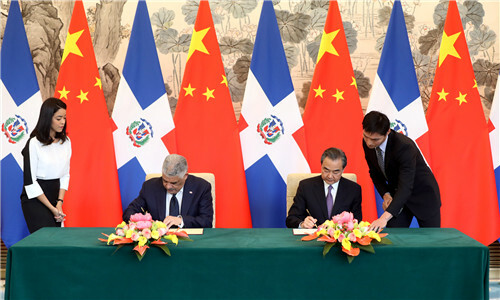 The People's Republic of China and the Dominican Republic, in keeping with the interests and desire of the two peoples, have decided to recognize each other and establish diplomatic relations at the ambassadorial level effective from the date of signature of this communiqué. The two Governments agree to develop friendly relations between the two countries on the basis of the principles of mutual respect for sovereignty and territorial integrity, mutual non-aggression, non-interference in each other's internal affairs, equality, mutual benefit and peaceful coexistence. 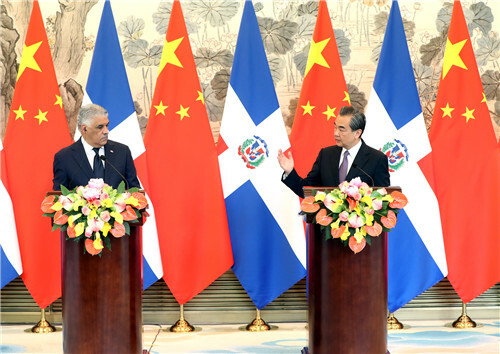 The Government of the Dominican Republic recognizes that there is but one China in the world, that the Government of the People's Republic of China is the sole legal government representing the whole of China, and that Taiwan is an inalienable part of China's territory. Hence the Government of the Dominican Republic severs "diplomatic relations" with Taiwan as of this day. 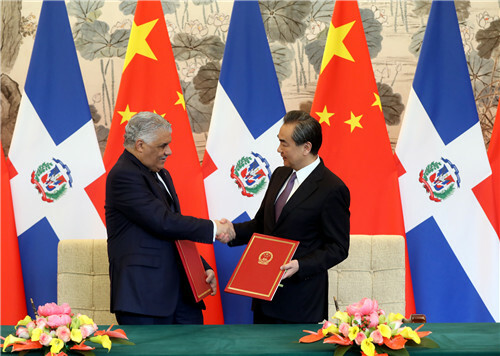 Before the signing of the Joint Communiqué on the Establishment of Diplomatic Relations Between the People's Republic of China and the Dominican Republic in Beijing, the Dominican Republic issued the presidential proclamation, which announced that the Dominican Republic recognizes the one-China principle and severs the so-called "diplomatic relations" with Taiwan region.